Your credit health plays a big role in your financial future. Strong credit health can help you qualify for loans with low interest rates, saving hundreds or even thousands of dollars in the long run. On the flip side, poor credit health could turn into a hurdle that hinders your chances of getting the loan you need to buy a home, finding financing to purchase a car, or qualifying for credit cards with the best rewards and rates. The credit landscape can be complex, confusing, and it can be difficult to know where to even start. The first step to achieving strong credit health starts with investing in understanding the ins and outs of your credit score. 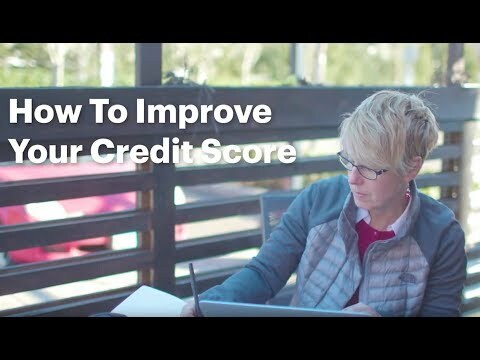 Learning about your credit score and the actions you can take to improve it will help you become better positioned to unlock your full credit potential and achieve your financial goals. What is a Good Credit Score? What’s a Bad Score? Your credit score is a three-digit number that sums up the information in your credit report, and many lenders use this metric as a way to determine your credit health. Credit scores are calculated by an algorithm that scoring agencies use based on information from your credit report, which includes data like your loan payment history and credit card balances. Credit scores were designed to predict the likelihood that you can meet your payment obligations or that you will go delinquent on your payments. A common misconception is that each person is assigned only one credit score that all credit bureaus and lenders access, but that’s not the case. Most of us have multiple credit scores that are slightly different because there are multiple credit bureaus, different scoring methodologies, and your credit information is often updated at different times. There are hundreds of scoring models but the most well-known scores are FICO Score and VantageScore. Don’t worry about tracking every single credit score. Instead, keep track of the well-known scores that the majority of lenders use to qualify you for credit (FICO and Vantage) and understand the bigger picture – what are the key factors that impact your credit score and how are they generally weighted. Although each scoring model is slightly different, attaining a general understanding of how credit score models work will prepare you to better understand your credit report and make changes that can help you improve your score. Sign up for Upgrade’s Credit Health to get your free credit score, credit monitoring, and credit education tools. Credit reports are comprised of the data and information that each credit bureau collects from lenders. There are dozens of credit bureaus in the U.S. that produce consumers’ credit reports, however, the main credit bureaus that are used by the majority of financial institutions and businesses to check consumers’ credit are Equifax, Experian, and TransUnion. Note that while lenders use information in your credit report to understand your credit profile, there are a number of other items beyond your credit report that they use to for credit decisioning. Learn more about that here. Based on the Fair Credit Reporting Act (FCRA), you are entitled to request a free copy of your credit report once every 12 months from each of the nationwide credit reporting companies — Equifax, Experian, and TransUnion. To get your annual free credit report, visit AnnualCreditReport.com, call 1-877-322-8228, or complete the Annual Credit Report Request Form and mail it to: Annual Credit Report Request Service, P.O. Box 105281, Atlanta, GA 30348-5281. Do not contact the three nationwide credit reporting companies individually. Credit bureaus collect millions of pieces of data that scoring agencies and others crunch to create credit scores. But how do they get all this data? When it comes to credit, financial institutions such as banks, credit card companies, and other lenders have a dual role. Most of us first think about the role they play in approving people for the credit they need. But, they also play a collective role in sharing information with credit bureaus about consumers’ credit behavior, which is then compiled into credit reports. Scoring agencies, like FICO and VantageScore, use the information in your credit report to calculate your credit score. FICO and VantageScores range from 300 to 850 and incorporate five factors into the scoring model including payment history, credit utilization, average age of accounts, types of credit in use, and new credit – more on that below. Your payment history is generally the most important factor in calculating your credit score because it shows lenders whether you’ve been reliable in making consistent on-time payments – an indicator that you’re likely to pay back your debts in the future. For this reason, just one or two late payments could significantly hurt your credit score. Multiple missed payments can turn into a “derogatory mark” or “negative record” on your credit report, which includes accounts in collections, bankruptcies, foreclosures and liens. If 30- or 60-day late payments aren’t happening on a regular basis, they shouldn’t cause lasting damage to your credit score. However, if you’ve been more than 90 days late (even just one time), the credit scoring models will think you’ll likely do it again. This can be damaging your credit profile and your ability to qualify for credit or get desirable rates. Paying your bills on time, every time, is one of the best things you can do for your credit score. Consider using automatic bill payments or setting up online alerts across your accounts to help keep track of your bills and remove the risk of accidentally missing a payment. Establishing a long credit history usually improves your credit score as long as you have a history of consistent on-time payments on your open accounts. 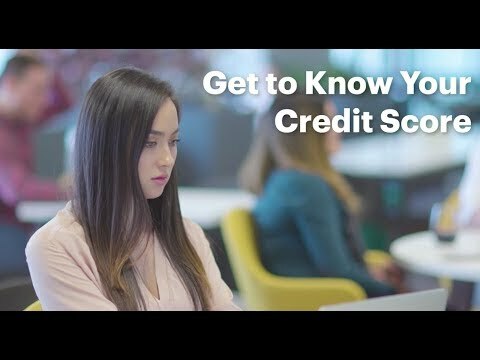 Factors that feed into this element of your credit score include how long all of your credit accounts have been open (the age of your oldest account, the age of your newest account, and an average age of all your accounts), how long specific credit accounts have been open, and how long it has been since you used each account. You can’t go back in time and open a credit card earlier, but keeping your oldest credit card open could help your score. Unless you’re paying high fees or find that you’re racking up too much debt, it’s probably a good idea to keep that first card open. Closing your first credit card will likely shorten your credit history and reduce your available credit, which could lower your credit score. Credit utilization ratio – also known as debt-to-limit ratio – measures the amount of your overall credit card limit that you are using. A good rule of thumb is to keep your credit utilization ratio below 30%2, but the lower the better. A high credit utilization ratio can lower your credit score and may make potential lenders worry that you’re overextended and may not be able to handle more debt. Your credit card utilization ratio is calculated by dividing your total outstanding balances on all of your cards by your total credit limit. There are several strategies for lowering your credit utilization ratio—from paying down debt to increasing your credit limit. Learn all about credit utilization and how to improve it here. Each time someone pulls your credit report — a lender, landlord, or insurer – an inquiry is documented on your credit report. Keep in mind that there are two types of credit inquiry – hard and soft inquiries – and only hard inquiries are visible to others on your credit report and impact your credit score. Hard inquiries occur when a financial institution—like a bank, credit card company or mortgage lender—accesses your credit report when you apply for credit. Hard inquiries are typically only made with your permission. Hard inquiries are visible to anyone who accesses your credit report and they are reflected in your credit score. Soft inquiries occur when someone accesses your credit report—but not because you are applying for new credit. When you request a copy of your own credit report, a soft inquiry is generated. Employers or landlords might also submit soft inquiries as part of their background checks. A lender may submit a soft inquiry to provide you with personalized rate quote and/or pre-approval offers. Soft inquiries can be made without your permission. They are recorded on your credit report but they are only visible to you and they are not reflected in your credit score. One hard inquiry is unlikely to affect your score by more than a few points. However, hard inquiries can stay on your credit report for two years and many hard inquiries or opening several new lines of credit in a short period of time can be more detrimental to your score. Lenders and businesses set their own parameters for the scoring model they want to use and what constitutes as a good credit score for a particular product or service. A specific score doesn’t guarantee you’ll be approved for credit or receive the lowest rates, but aiming for a higher score will increase the likelihood that you’ll be offered the best rates. Based on the commonly used scoring range of 300 to 850, a score of 781 to 850 and above is generally considered “excellent” and means you’re well positioned to qualify for credit with the lowest rates. Scores less than 601 are generally considered “unfavorable” and mean you might not qualify for credit or might not get the best rates. Taking action now to improve your credit score can help you not only qualify for credit with better rates, but may also help you avoid extra fees or deposits that are sometimes required for borrowers with lower scores. If you find that your score isn’t up to par, take a look at your credit report to see if there are any ways you can improve your credit score over time. If you find that credit score is being dragged down by inaccurate information, take action to dispute the error. Large ticket loans through traditional financial institutions: if you’re looking for larger-sized financing such as a mortgage, auto or small business loan, your first stop may be a bank. Most people spend hours filling out paperwork and collecting information for the long loan application, but one of the key pieces of information that determines whether you qualify for a loan and what rate they can offer you is your credit score. If you know you’ll be in the market soon for a large loan, you’ll want to make sure you’re credit score is in good shape. A good score will help you qualify, and can help you lock in the best rates which can translate to hundreds or thousands in savings. Credit cards: it’s pretty easy to get a credit card, even if you have a poor credit score or no credit history, but your options will likely be limited. With a high credit score, you can qualify for a broader range of credit cards that reward customers with sign up bonuses, cash, points for other perks, entry to airport lounges, and more. Start building a robust credit history of on-time payments early on so you don’t miss out getting access to the best credit cards and rewards. Car Financing: for most Americans, buying a car is the second largest purchase they’ll make in their lifetime right behind their home. A great credit score can be one of the best tools to help you get a great rate on a car loan. Working towards a strong credit score before you’re in at the car dealership buying a car could help save you hundreds to thousands of dollars in interest. Online loans: online lenders have emerged as an alternative to traditional financial institutions and are known for leveraging technology and data to deliver quicker loan and rate decisioning, and a simple online experience. Online lenders like Upgrade perform soft credit checks to see if you can be pre-approved for a personal loan. A strong credit score can give you more options and better interest rates with online lenders. Insurance: a healthy credit score and credit history can often help you get a more affordable insurance premium compared to others with an average or poor credit score. Why? Insurance providers are looking for information that help them evaluate an applicants’ risk and the probability that they will become delinquent on their insurance payments. Your credit score is a way to evaluate risk and create a policy and premium at a fee that lines up with the risk level they determine. An excellent credit score can help you qualify for the best insurance policy at a great rate – giving you and your loved ones peace of mind. Cell Phone Service: one of the first steps that cell phone service providers take when deciding whether to offer you cellular service is to checking your credit history. If your credit score doesn’t meet their standards, they may ask you for a down payment, give you a smaller selection of phones to choose from, or not offer you the latest promotional rates or rewards. It’s hard for most of us to imagine life without a cell phone – don’t let your credit score stand in the way. Keys to your apartment: many landlords require running a credit check in addition to completing an apartment application. A solid credit score could give you a step up from other apartment seekers in a competitive market. Now that you know how your credit score is calculated, what’s inside your credit report, and the factors that impact your credit score, you have the foundation to take the next step and consider steps you can take to better maintain your strong credit score or take action to improve it. 1. Check your score regularly and review your credit report annually. Checking your credit score regularly will help you know right away if you’re making progress, or if something is pushing your score down. It’s easy to keep track of your credit score and the key factors that impact it through Upgrade’s Credit Health – suite of free credit monitoring and credit education tools. 2. Always make on-time payments. Your payment history makes up a third of your credit score, so it’s a no-brainer that not missing a payment should be a top priority. To stay on top of your payments, set up a calendar reminder or enroll in automatic payments. The on-time payment goal applies to all your bills, including utilities, rent and cell phone service. 3. Optimize your credit utilization ratio. Pay more than the monthly minimum to lower your credit card balances. Leave cards open after paying them off to reduce your overall balance owed, but maintain the total limit—consequently lowering your credit utilization ratio. Just be aware that some credit cards do have annual fees, and that fee should also be considered when deciding if you should keep the account open or close it. Request a credit limit increase on one or more of your cards but resist your desires to spend more! Note that this may result in a hard inquiry, which can temporarily lower your score a bit. Refinance high interest-rate credit cards with a personal loan that has lower rates and better terms. Consolidating multiple credit card balances into one lower interest rate loan can lower the amount of interest you owe, which allows you can pay off your debt faster. And, if your credit cards remain open after you transfer the balance to a personal loan, your credit utilization ratio goes down – an added bonus. 4. Be thoughtful about taking on new debt and closing accounts. Apply for credit under the right circumstances – when you need it and you can get affordable financing that you can repay on time, every time. Too many hard inquiries may signal to lenders and creditors that you’re taking on more debt than you can handle, so only apply for what you need. Think twice before closing an old account, as closing an old account can ding your credit utilization ratio and credit history – two things that are good for your score. 5. Rethink your credit mix. Scoring models consider your ability to responsibly manage different types of financing, from credit cards to secured loans like mortgages to personal loans, so you should consider diversifying your mix. That said, never take on financing that you don’t need or can’t handle – missing payments is much more detrimental to your score than not having a diversified mix. Late Payments: start making payments ASAP. Your payment history makes up about 35% of your credit score, so this is one of the most important things you can do to improve it! The longer you wait, the more damage you’ll incur on your credit score. Late payments will usually be removed from your credit report after seven years. Too many hard inquiries: hard inquiries stay on your credit report for 24 months, and your credit score will usually return to its pre-inquiry level within about six months. Be patient and do not apply for more credit unless you really need it and know you can make on-time payments. Foreclosure and repossession: A repossession or foreclosure will stay on your credit report for seven years. Focus on adding positive items to your credit report by making on-time payments, paying down debt and building better money habits to bolster your credit score. Tax lien: if you haven’t paid your taxes, the government can put a lien on your property, which will show up on your credit report. Pay your tax debt as soon as you can because unpaid tax liens can stay on your credit report indefinitely, and paid tax liens stay for seven years from the date of payment.3 Once you’ve paid the taxes, you may be able to request a “withdrawal” which would eliminate the notice of lien from your credit report. A tax lien has serious impact on your credit report, however, not all liens will appear on your credit report. The major credit reporting bureaus recently decided4 they will include only liens which meet certain identification and verification standards. Bankruptcy: recovering from bankruptcy is challenging because it stays on your record for a long time, and may make it hard to secure credit. There are generally two types of personal bankruptcy: Chapter 7, which stays on your report for 10 years and Chapter 13 which stays on your report for seven years. Try getting a secured card so you can start rebuilding your credit file after bankruptcy but be sure to choose a secured card that reports payment activity to credit bureaus because not all of them do. Errors on your credit report: if you discover an error on your credit report, follow the steps to dispute the error. All three major credit bureaus accept disputes from consumers online, over the phone or by mail. Strong credit health can be empowering and help you achieve the financial goals you’ve set – from getting a low-interest personal loan to consolidate your credit card debt to buying your first home. Achieving good credit health begins with knowing your credit score and where you land on the credit score spectrum, understanding what’s in your credit report, and learning what actions you can take to maintain or strengthen your credit health. Check your credit score regularly and review your credit report annually to take better control of your finances and reach your full credit potential. Get more information and advice on what impacts your credit score and changes you can make Upgrade’s Credit Health Insights and sign up for Upgrade’s Credit Health to get your free credit score, credit monitoring and credit tools.